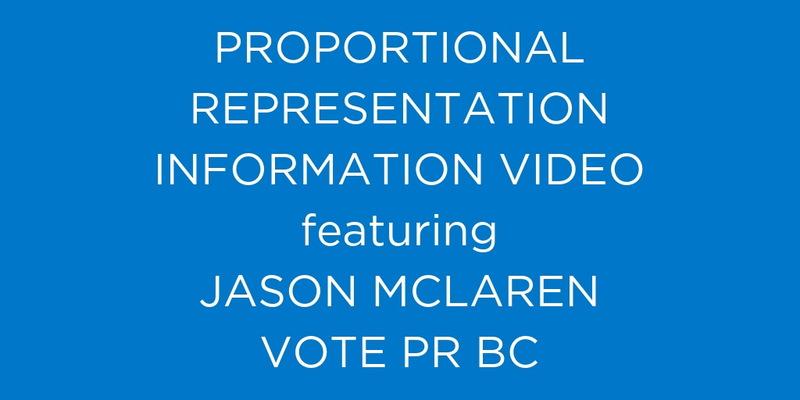 On Tuesday, October 23, MoveUP hosted an information session on Proportional Representation featuring Jason McLaren from Vote PR BC. For those who were not able to join us, you can watch the presentation in its entirety below. If you feel like you already have a grasp on the basics, skip ahead to the 24:40 mark for the Q&A portion. Can’t see the video? Click here to open in YouTube.